Acquia Commerce Framework provides a decoupled digital solution that enables developers and sellers to offer integrated commerce experiences quickly (reducing development time by up to 80%). 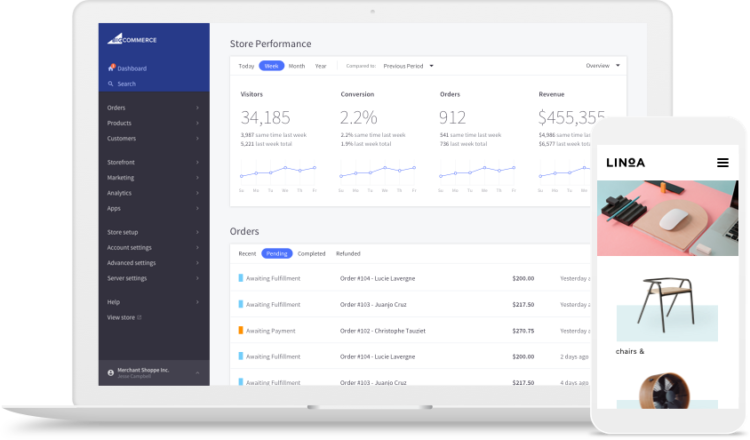 BigCommerce for Acquia Commerce Framework (ACF) empowers merchants to deliver a contextualized commerce experience, allowing users to make purchases in the context of the content they’re interacting with (i.e. the ability to add a product to your cart directly from the blog that mentions that product). This reduces buying friction, speeds up time-to-checkout, and enables integrated browsing sessions for visitors to your content-driven site. With BigCommerce for Acquia Commerce Framework, sellers can embed a BigCommerce-powered shopping experience into their branded content and media delivered through a Drupal front-end. Learn more about the ins and outs of Acquia Commerce Framework here. Integrating with BigCommerce means that you can leverage all of the ecommerce power that BigCommerce offers with the flexibility of React and Gatsby’s blazing fast load times on the front end.